Nicola Sturgeon has warned Jeremy Corbyn not to “sell out” in his Brexit negotiations with Theresa May. The first minister feared that Labour could end up becoming “the handmaidens of a Tory Brexit” if leader Jeremy Corbyn did not demand a second referendum. The warning came as Mr Corbyn and Mrs May sat down for a “constructive” round of talks, behind closed doors in Parliament, in a bid to break the current Brexit impasse. 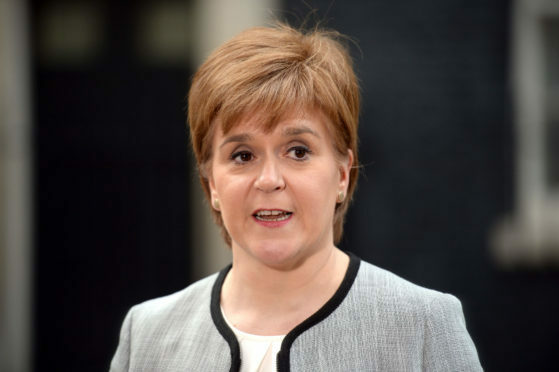 Ms Sturgeon, who met with the leaders in Westminster after their meeting, said: “I got a sense from the prime minister that she thinks they might be closer to a deal than the impressions I got from him, but I don’t know. “I think he should be wary about not falling into a trap, either selling the votes of his party too cheaply or taking things on trust from the prime minister, who might not even be in office to deliver any agreement that she reaches with him. Downing Street and Labour last night said the talks between Mrs May and Mr Corbyn had gone well and more discussions between the two negotiating teams would take place throughout today. A Number 10 spokesman said: “Both sides showing flexibility and a commitment to bring the current Brexit uncertainty to a close.